The DIY Chicago music scene brought frontman Nic Gohl, guitarist Mike Clawson, drummer Shiraz Bhatti and bassist Drew McBride together to form the band Deeper in 2014. To the four Chicago locals, nervous-sounding dream pop, apparent in songs like “Pavement” and “Should Be,” help them stand out from the crowd. 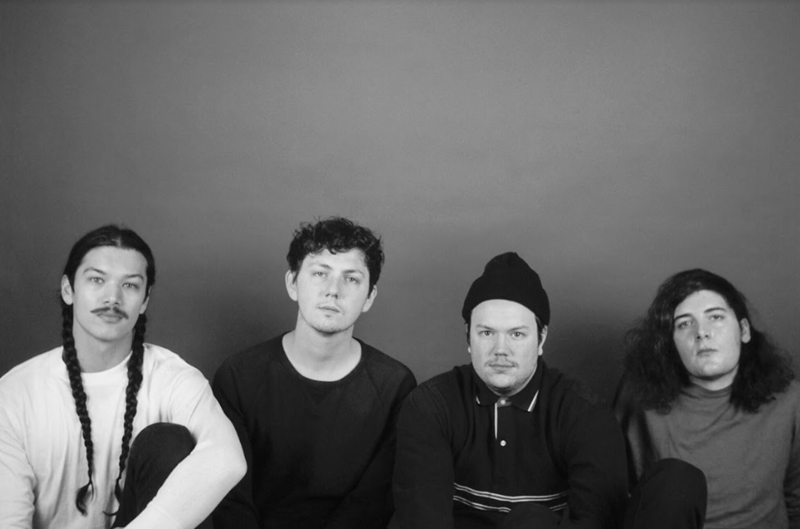 Putting out their self-titled debut album in 2018, Deeper has received exposure with a generous 500-word review from Pitchfork Magazine, along with The Districts taking them on their biggest tour yet. In an interview with the band, they discuss how they started, the feelings behind their music and more. Is this your first tour as a band? Are you friends with The Districts? Your self-titled album is really caustic and nerve racking. What came first, the songs or the nervous feelings? How did you come up with this gothic-themed music video for your song “Pavement”? I saw that Pitchfork gave you guys a review on your self-record. Does this mean anything to you guys? Considering how much music is out there, it’s cool that they picked it up and saw it. “I think our opinions of pitchfork are a little bit different than when we were growing up and when we all read Pitchfork a lot, going through the end of high school and college. We grew up in the suburbs of Chicago and we went to Pitchfork Fest every year, so I think a lot of the bands from the 2000s it was Pitchfork that helped us find everything, like Dear hunter and Women. What was it like growing up and playing music in Chicago? Deeper will be playing with at the Bluebird on Feb. 4 – doors open at 8 p.m. and tickets will be $16 at the door.